We assume you will be taking full responsibility for your new dog and accept the challenge of making suitable arrangements for the Clumber’s health and well being even if you decide you must part with the dog. This concept should be fully considered BEFORE you make a booking or purchase from us. – a refuge or rescue shelter acceptable. Nor are these choices suitable homes. Nor would it be considered an appropriate action not to advise us before re-homing a Clumber you obtained from us. 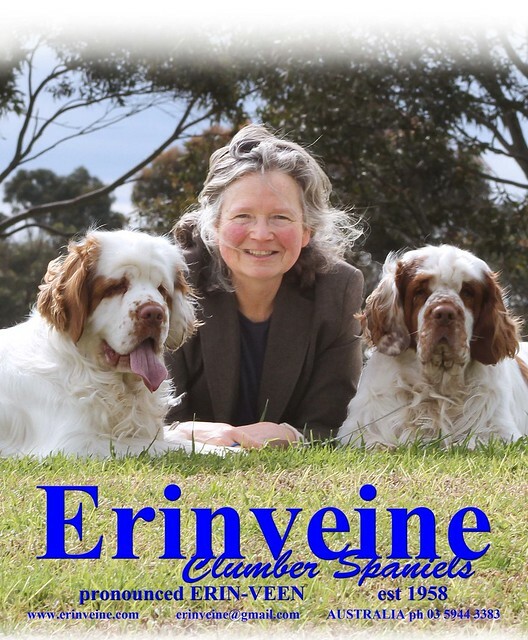 A breeding or show proposition may fill one of our potential buyer’s needs and so save you a little hassle and ensure someone interested in Clumber Spaniels has a rare opportunity. However, having re-homed two Clumbers in particular, after they had been mentally and physically neglected, it should be remembered this is a breed that readily suffers mental distress when love and care is not in their daily life. So don’t be inclined to hang on – if you can’t cope, do the humane thing and search for a new home immediately BEFORE you mentally damage an innocent, caring, loving animal. Just keep in mind, if such damage occurs anyone can detect the mental scars and your reputation will be established in the eyes of the new owners and any of their associates who meet or discuss the victim – for many, many months to come.